The seized arms included seven AK-47 assault rifles, six US-made M-16 rifles, four MA-3 Mk-II rifles and two AK-56 rifles. Aizawl, Apr 17 : Mizoram police seized 48 types of rifles and more than 7,900 rounds of ammunition of different guns during 2014, police said today. 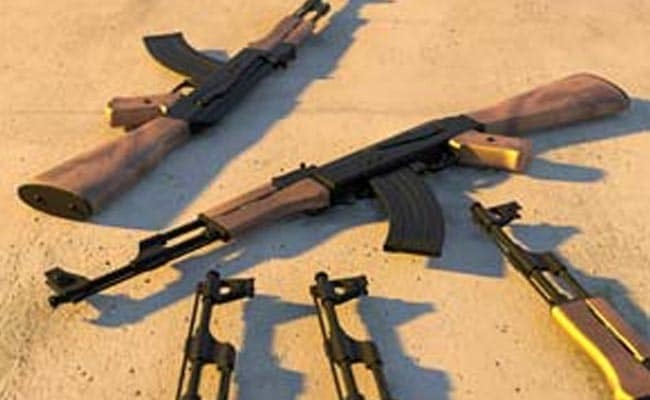 The seized arms included seven AK-47 assault rifles, six US-made M-16 rifles, four MA-3 Mk-II rifles and two AK-56 rifles, a senior police official said. The state police also seized two hand grenades, three kg of RDX and 312 boxes of special ordinary detonator (SOD) during the same period. Majority of the seized weapons were suspected to have been meant for a Chakma militant group operating in neighbouring Bangladesh and were mainly smuggled from Myanmar through the porous 404-kilometre-long international border, the officer added.